What brand of Jam do you buy? If I am going to lapse and have jam, its usually St Dalfour. Much lower sugar content than the rest. @Gaby and @SueW interesting observations re sugar content of jams? How much sugar should there be in a jam? Given sugar is to jam as salt is to corned meat. The everyday recipe for jams starts with 50% sugar, 50% fruit. There are comments that some fruits need more (higher water content), or that boiling the mix gradually reduces the moisture content. Hence the much higher observed sugar content of commercially produced jams. Don’t forget the added pectin and acid. It appears possible to make lower sugar content jams (20-40% sugar) ratio using a modified method. The other option is to make fruit jellies of which cherry guava is one of my favourites. Traditionally added sugar free. The product relies on boiling down and separating the seeds and skins to extract additional pectin, etc. Not being a flavoured sugar sweet the discussion of fruit jellies might be a whole separate topic? Is there food science to jam making? How much sugar should there be in a jam? I really have no idea. Lots, I imagine. I never made jam, that was something Mother always did. I make my current choice based on my diabetes. Really, I shouldnt have any, because it means I’m probably also having scones, and then I have to have some insulin to cover it, not a fab way to lead ones life but needs must. 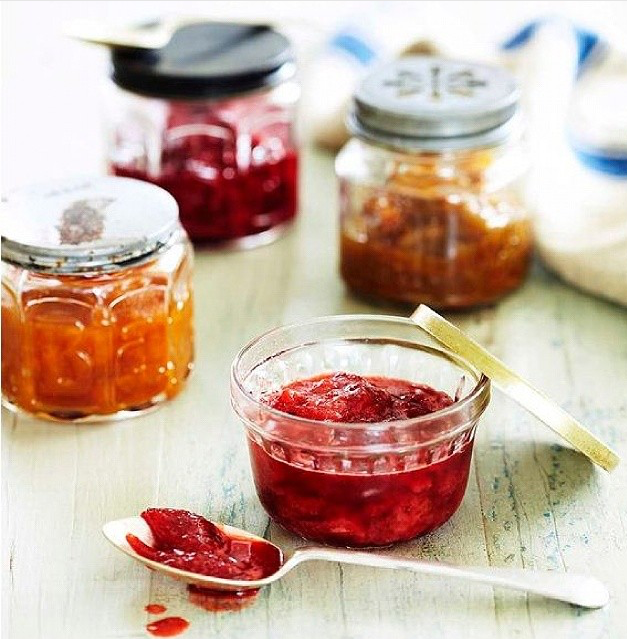 In times of home-made preserves sugar was used as a preservative, usually with a 50/50 ratio, but with refrigeration now a much lower sugar content could be achieved in home made jams. 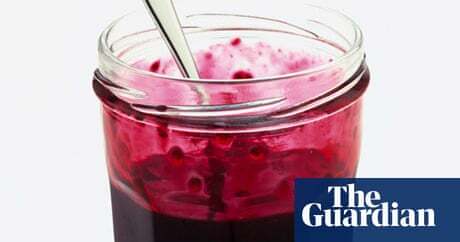 Commercially made jams are another story, some are available with 40% sugar, but as I use jam seldom and just a little, I usually buy the one on sale at the supermarket. I have been making jam with 2:1 instead of 1:1 fruit to sugar with no other modification for some time. My general method involves adding very little water to start to soften the fruit (some recipes say to cover it!) which means less boiling down to get to gel point which means the flavour is more of fresh fruit and less “jammy”. It tastes better and lasts unopened just as well, once open it should be refrigerated. I never add pectin or acid or artificial preservatives. You need to start with high pectin fruit. The result is lumpy and opaque due to the fruit fibre and other solids not like the translucent sugary coloured gel you buy, I bottle sweetened fruit not flavoured sugar. Called the 1800 number for Cottee’s re country of origin of the ingredients in their raspberry jam: they couldn’t tell me as it was sourced ‘according to availability’. When pressed, they said that it could be from Asia or Australia ‘according to availability’. BTW just found out that Confectionary, Snack food, Buiscuits, Soft drinks, and Alcohol, are exempt from the new labelling laws in Au.